Wooden wall covering with paintings, reception hall at the house Wakil in Aleppo, commissioned by the Christian broker Isa ibn Butrus. Multaka: Refugees and immigrants with Syrian or Iraqi backgrounds as mediators in 4 Berlin museums present their favorite objects. 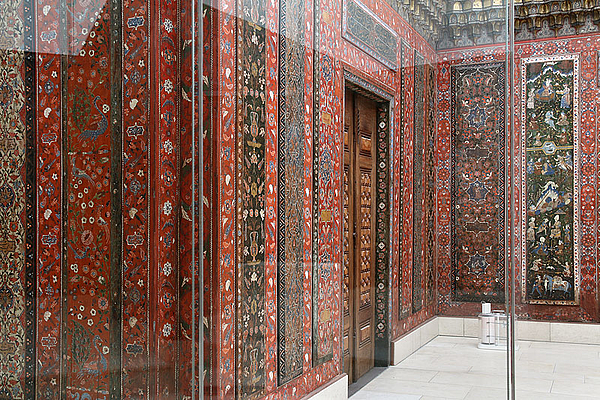 Aleppo Room, Museum of Islamic Art.